Compare and contrast: How are Monique and Sevrine alike? How are they different? What is Monique's life like during the Nazi invasion of France? What is Sevrine's life like? Students can use a Venn diagram as a prewriting tool, and then write a journal entry answering these questions. Characters' feelings and emotions, making personal connections: What are the feelings and emotions of Monique, Sevrine, and their mothers during this story? Why do they feel this way? Pick one of the feelings, and write about a time when you felt the same way. Summarizing: Reading response journals are a great place for students to practice summarizing a story. A picture book is a good source to start with, instead of a novel, because there are less plot points. Ask students to summarize parts of the picture book if they are beginning this skill or the whole story if they are more advanced. You can use story charts to work on story elements such as characters, setting, problems, solutions, story events, and climax. Students can make their own story charts about The Butterfly by taking an 11 inch x 14 inch of paper and folding it into fourths. This gives them eight sections to make their story chart. In section one, students draw a picture of the main characters and label them. In section two, students draw a picture of the setting. In sections three and four, students divide the boxes in half. On the top half, they draw a picture and write a sentence about a problem in the book. On the bottom half, they draw a picture and write a sentence about the solution to the problem. In sections five and six, they draw a line (like a time line that starts in one corner and then goes up to the climax and then back down to the conclusion). On the line, they write important events in The Butterfly by Patricia Polacco that lead up to the climax, which goes at the highest point of the line, and then events going down the line that lead to the conclusion of the story. In Section seven, they write a few vocabulary words they learned and the definitions in their own words. In section eight, they rate the book. They can give it a thumbs-up, a smiley face (or frown if they didn't like it), or rate it on a scale of 1 to 10. 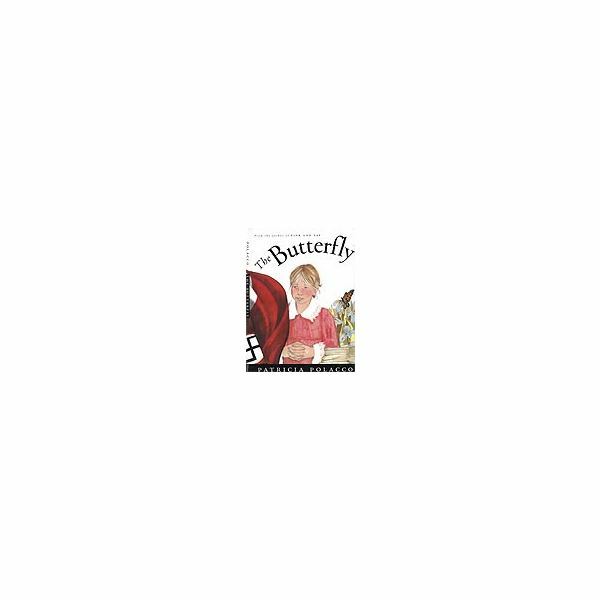 Another language arts lesson plan you can teach with The Butterfly by Patricia Polacco is an introduction to symbolism. The butterfly is a symbol of freedom, and this is a pretty easy symbol to understand. Discuss the significance of the butterfly with the children and then how it shows up again in Sevrine's letter at the end of the book. Ask students questions about why the butterfly was included in the book. *Make sure they understand what a symbol is. One of the easiest ways to do this is to talk about different symbols we have in our country such as the American flag or the bald eagle.